With both fry ponds now ready to receive, I am pushing on with final spawnings with each female that still has some eggs. Problem's been my males are spent. Remember in May, I withdrew the kohaku female from spawning too early, and she carried on for around an hour in the males tank? ... wonder whether most of my males were spent after that episode and have taken a while to recharge. I will be adjusting my post spawning approach for next year. I've examined all the males and found 2 that had milt and put them with this omosako shiro female. Result = successful spawning and c.30% fertilised eggs. Not as many as I would like but, its been a while since I had any fertilised eggs so it was welcome news. The eggs developed as normal, with eye's visible after a couple of days. But, there's been a failure of some sort after that stage and I've ended up with no hatchlings. So I've been shopping for more males; picked up a pair of showa males and put them with my shintaro female for one last go. They didnt spawn. Koi keeping isnt always fair! Focus now is to keep her in good condition, feed her up and try her again next year. 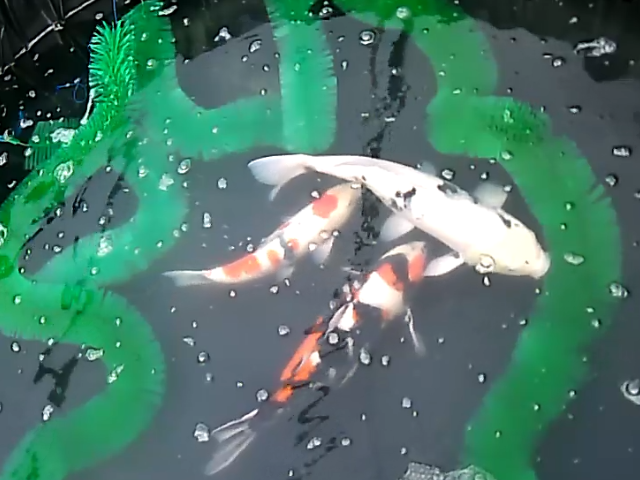 I've some more males coming this weekend, and that will give me chance to have one last go with my other showa female and another female - I might give the kohaku that spawned back in May a go. And, I'll even give the shusui a run out. Once I've gone through this last lot I'll let you know how I got on. There are ofcourse the fry from my May Kohaku spawning, and my focus must soon return to these fast development babies - I started the prep for second selection last weekend but ran out of time to complete the selection itself. I really must get through it because I'm growing on koi that are taking up space and really should be moved on. Another job last weekend was cleaning out the females pond. While on the the step ladder climbiing into the pond - I had lovely view from one end of the tunnel to the other and reflected on how much I've achieved this year.., and took a panoramic shot from one end of the tunnel to the other. From left to right; tea cup tank and males tank (has all my fish in it right now), filtration area, fry grow on tanks, green vortex tank, spawning vats. In the middle of the picture is the females tank - dried out, and ready for me to clean. I would be disappointed if I can't fill at least one of the fry ponds with a batch of hatchlings after all the effort this year. 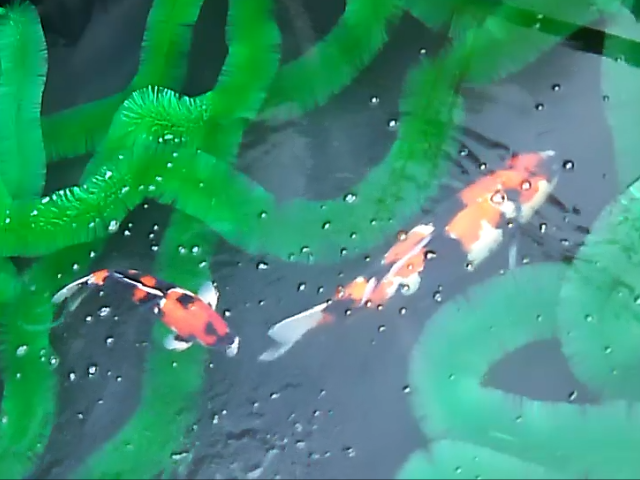 What ever happens, I've already had a successful kohaku spawning in May, and the polytunnel set up is finally complete.